We are going to shed some light on what distances golf wedges go for the average golfer, they might have an approx distance for them but might not quite know the specifications and degrees they can be used for – I will start off by giving you a rundown on distances or average distance you can expect from these clubs. For male golfers, the distance would vary between 80 yards to 120 yards, 47-degree wedge hitting it the furthest and 53 degrees the least amount. For female golfers with the same degree of loft can expect to hit the female equivalent of the pitching wedge approx. 50 to 80 yards. So dependent on whether a full shot, half shot or golfing capability the above figures are the average. Now in today’s golfing world, there are many alternatives of wedges that are referred to as ‘lob’ wedges, ‘gap’ wedges or even ‘sand’ wedges that are pretty standard. Walking into a golf showroom now you can purchase wedges that have 50, 52, 54, 56, 58, 60 or even higher lofts dependent on manufacturers, which can be used for full shot, half shots, punch shots, chip shots, lob shots etc, golf club manufacturers are developing more and more options to fill that distance void that so many golfers struggle with, so instead, of half swinging or changing your golf swing you can put a normal swing on a certain degree wedge and hit that shot that the average handicap golfer often struggles with. Listed below, I have chosen three to give you the approx. the degree of loft you can expect when buying an additional wedge for your golf bag. 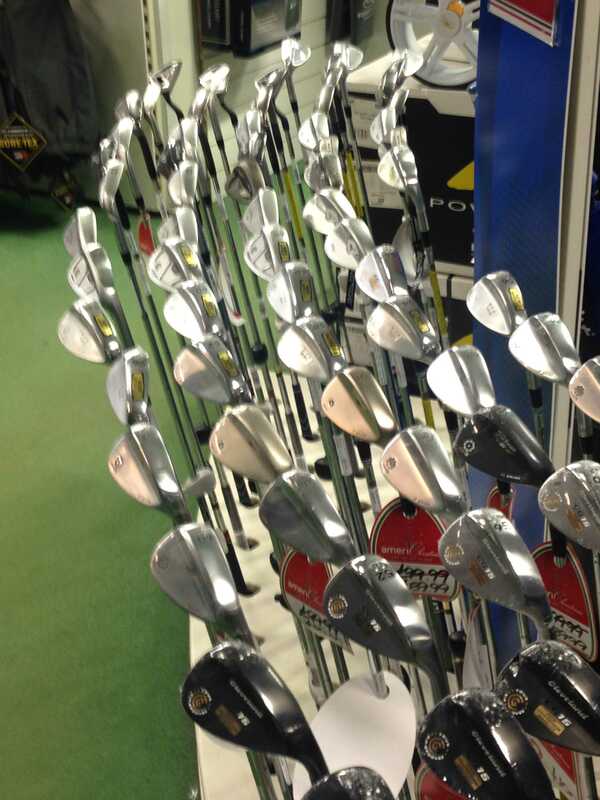 As you can see there are varying lofts to take into account when selecting an additional wedge for your golf bag, and you can see the varying distances it is not an area to take lightly when choosing one to suit your game. My recommendation would be to ask your local golf professional or golf store to tape up a few choices prior to buying, then take them on the range and see which one serves you best for your particular game and shot distance you are trying to fill. You might also like my article on the golf swing. So glad that you liked the article and we will keep them coming as always. Yes, you are correct, we did give averages, it’s very hard to exact distances plus bracket them into age groups as well, the easiest way is to give averages and you can work backwards in using the gaps between clubs and distances, hope that makes sense? But thanks for the positive feedback and keep in touch. I thought that some of these distances were a bit out of my league but I do understand that you are giving averages not actual distances for all standards of golfer, a good read and very informative for the amateur golfer to strive for in improving their golf game distances. Another great article and a good read, keep them coming they are most appreciated.